Do you ever find yourself lying in bed at night, going through all the things you have to do the following day, week or month? I always think of the movie 'I Don't Know How She Does It', where SJP is lying in bed at night going through all of her tasks, and nearly having a nervous breakdown at the very thought! 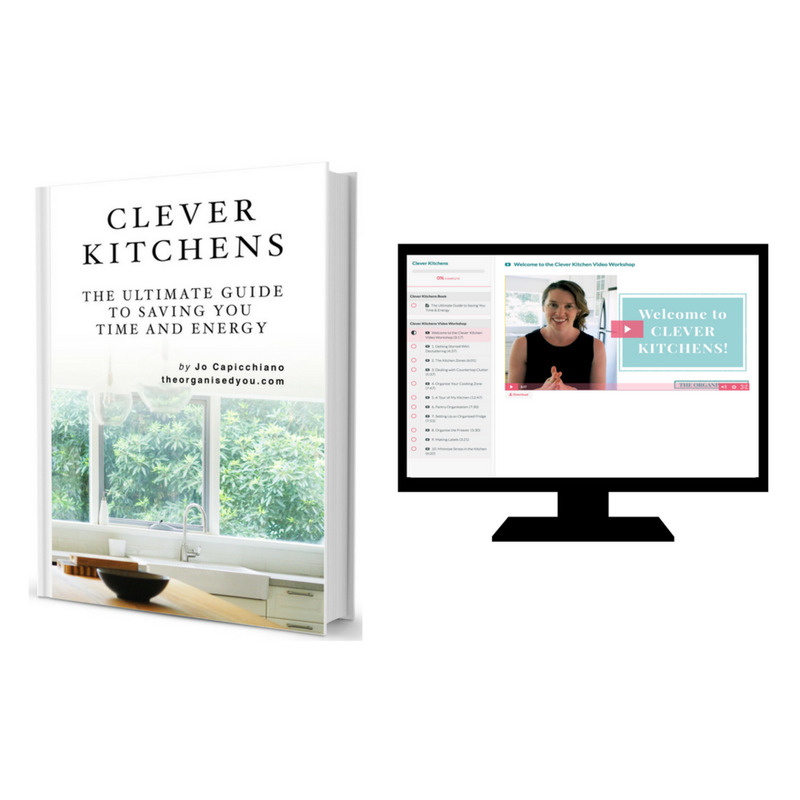 The evening rush is stressful at the best of times, and if you haven't thought about what's on the menu for the evening meal, your time in the kitchen can be a real time and energy drain. With a weekly or fortnightly meal plan in place, not only will your trips to the supermarket be reduced, therefore saving you time and money, you'll also be saving yourself that 'brain freeze' of wondering what on earth you can cook for dinner that night! A planned approach will ensure your pantry, fridge and freezer are well stocked, and you can even do a bit of pre-preparation in the morning (i.e. defrost the meat, chop the veggies) to get ahead. In a recent episode of The Organised You TV, I shared 2 simple strategies that I personally use to plan our meals. Meal planning really is an amazing way to be more consistent with your organisation, and feel 'on top' of that hectic evening rush. It really is incredible to think of the amount of paperwork we still receive on a daily basis, especially if you have kids at school. An incoming paperwork system is a must if you want to stay ahead of the game! Paperwork needs to have a specific flow through your home, in order to stop the build up. This includes an entry point, a designated place to 'deal' with it, and an exit point. 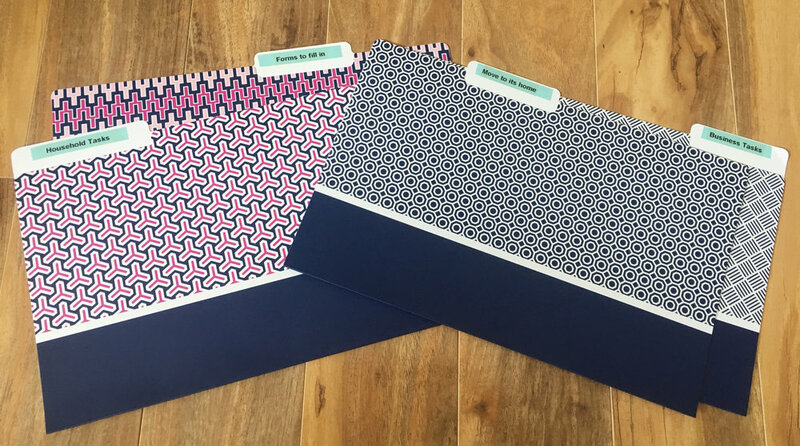 My best advice is to grab yourself either some file folders, a step file or a divided wall rack, and label them with whatever works best for you and your family i.e. To Pay, To File, Move to its home, Forms to Fill Out. Each day, when mail or paperwork 'enters' your home, spend 5 minutes dealing with it - recycling any unwanted paper, pinning invitations or events on a memo board, and filing away the rest into these labelled folders. Then, choose one day of the week to deal with all your paperwork tasks. Simple! BONUS: Want a clear strategy for tackling those paper piles? This detailed guide will help you take the first important steps for categorizing and sorting paper piles. Click the button below to get your FREE copy! Along with an incoming paperwork system, it also pays to have some sort of filing system. Whether you choose to go completely digital, or have a filing cabinet / expandable file folder, or a combination of these, you should have somewhere to store important paperwork that shouldn't be thrown out. Documents like birth and marriage certificates, insurance and banking information, receipts for tax purposes, past tax records, car information, and work documents should to be kept in a safe place. Personally, I use a colour-coded filing system to store these important documents, and go through the files once a year at tax time to make sure I'm only holding onto the things we really need, and prevent any paperwork build-up. Which system do you use? The final piece in an effective paperwork management system, for me, is the household binder. A simple binder or folder is a really useful place to store important information that you need to access frequently. It also means you don't have to go rifling through a filing cabinet or paperwork pile to find what you're after. 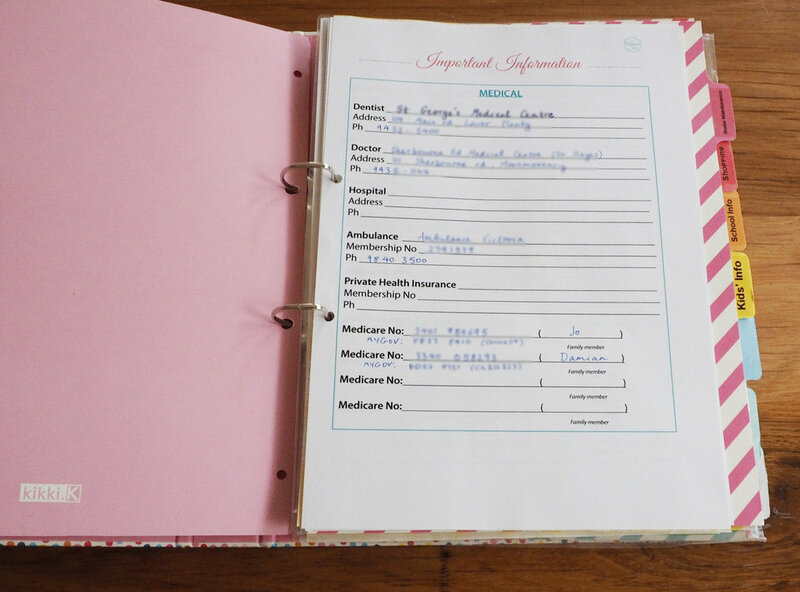 A household management binder can be used to hold that information you often need to have on hand when filling out forms or paying a bill i.e. doctor's name and number, Medicare numbers, passwords, account or policy numbers etc. It's also the perfect spot to store important documents from your child's school that you may need to reference later. Along with the household binder, we also use a finance binder to track our important money info. With a once a month 'money night' scheduled into the calendar, we discuss and record information in our finance binder related to our debt, savings and bills for the month. This is also a handy spot to store our banking information. 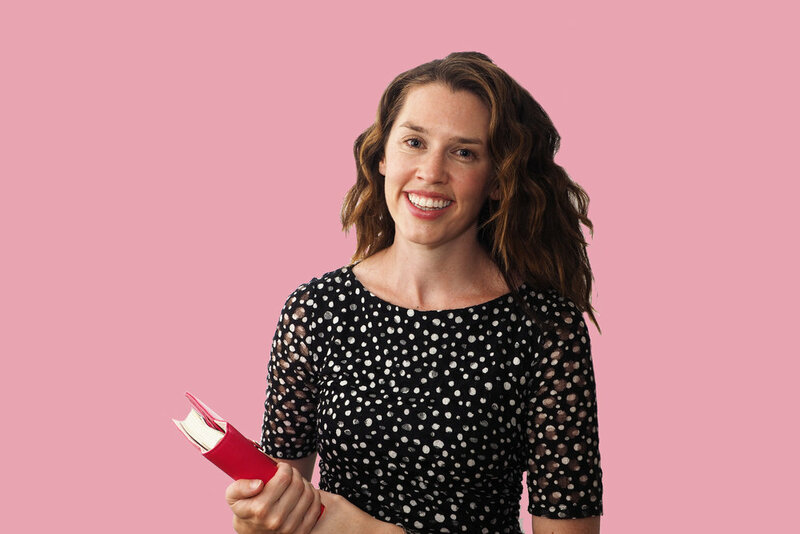 We personally have found that tracking where our money goes, and writing things down, really does help in feeling more organised with our money, and knowing exactly where it's going. Related Post: Are you ready to get your finances organised? 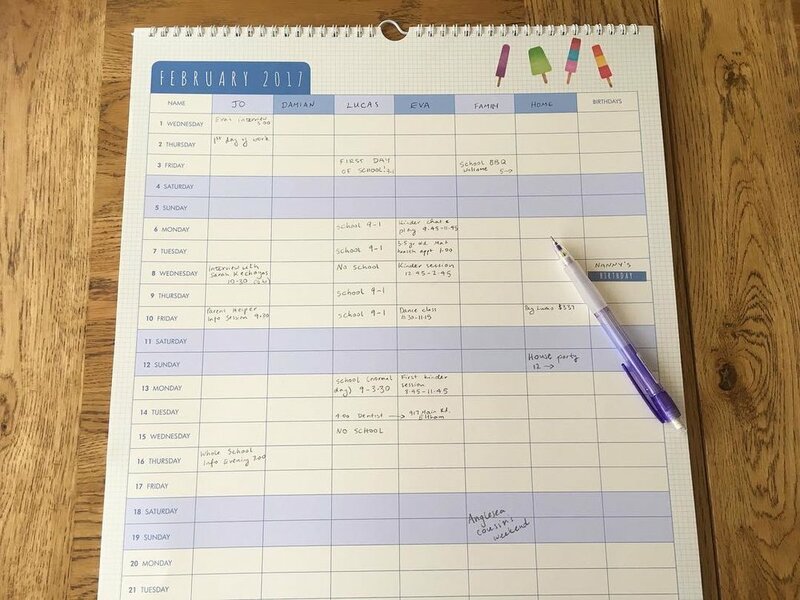 If you're running a busy household, a family calendar or schedule is an absolute essential for staying consistent and on track with the constant comings and goings. Whatever system you use, it's useful to be able to clearly see what's coming up for each family member. I do this by using a calendar with separate columns for each person. Whenever I receive an invitation, newsletter or email with an upcoming event, I pop it straight onto the calendar, usually during that daily 5 minute paperwork sort, and record the relevant information (which also means I can throw out the related paperwork!). 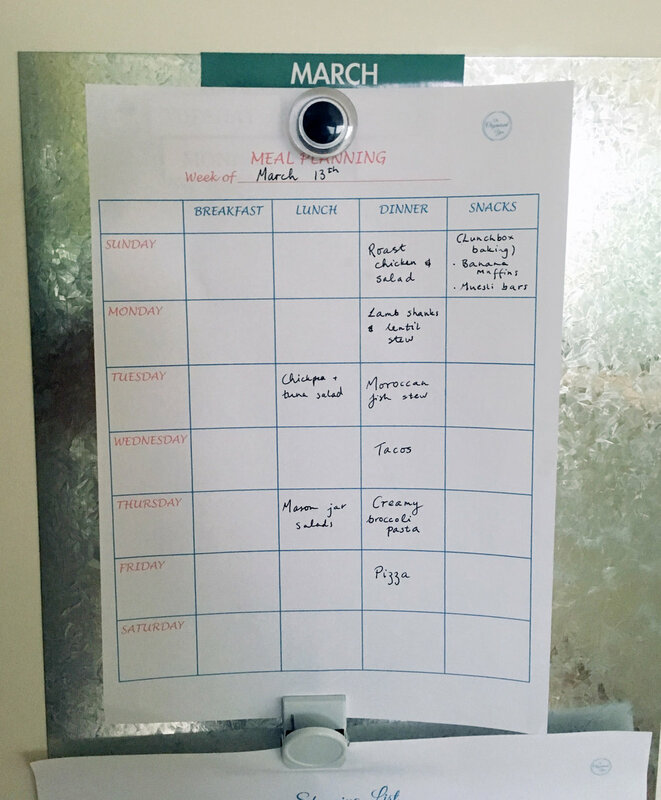 When I'm planning my week (and our meals) I can then see what's coming up for the week, and where I'll need to make adjustments or concessions if it's a particularly busy day. If you're feeling overwhelmed by the amount of tasks on your plate, one of the best ways to be consistent and have a more organised approach is to plan your week. I've recently mades changes to my weekly planning approach, and am finding that I achieve so much more, and actually get through all of my to-do's, when I categorize the tasks and prioritize the top 3. Doing this on a Sunday evening means I know exactly what's ahead for the week, and what I can aim to achieve, depending on how busy the week is. A family command centre might sound a little intimidating, but basically it is a central spot where you can store and sort incoming paperwork, a memo board to house your weekly planner and calendar or schedule, and possibly a charging station. It certainly doesn't need to take up a whole lot of room, but it might just become one of the most-used spots in your home! A command centre is great because it gives you a drop spot for those bits and pieces that can become clutter piles, and keeps your kitchen table and bench-tops nice and clear. Here's a little sneak peek of our new command centre - I can't wait to reveal our new space in the next few weeks! In the meantime, be sure to check out the video of our previous family command centre in the link below, it was amazing what we managed to achieve with such a tiny space! BONUS: Get your free detailed guide to tackling and categorizing paper piles on the button below! One of the biggest areas many people have trouble staying consistent with is household chores, as it can sometimes feel like you're never on top of it all. 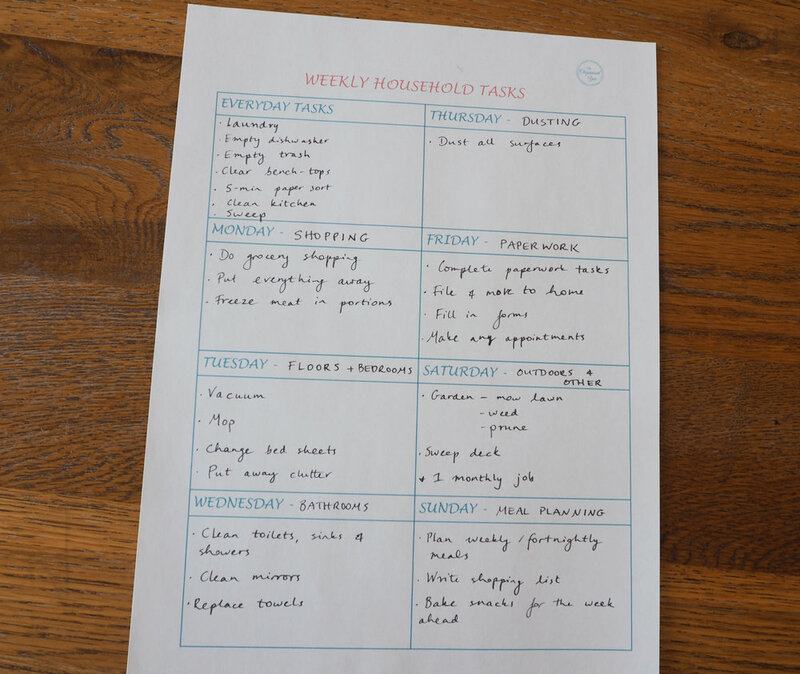 In my previous post, I spoke about why batching your chores is the best approach, and how to designate days of the week for specific chores. Batching allows you to focus on one specific task for that day in order to be more productive and consistent with your household chores. I would also highly recommend creating a kids' chore chart if your kids are old enough - I've officially started my kids on theirs at the ages of 3 and 5. Delegating tasks to others (including your partner) will lighten your load, and give you more quality time in your own day as well. Laundry is one of those tasks that never really feels finished, as there's always something to be done - sorting, washing, hanging out, folding, putting away... Therefore, it's important to have some sort of system for managing it and making the whole process as efficient as possible. I always aim to complete some stage of the process every single day, whether it's putting on a load of darks, a load of whites, the sheets, the towels, hand-washing a few items, or ironing. 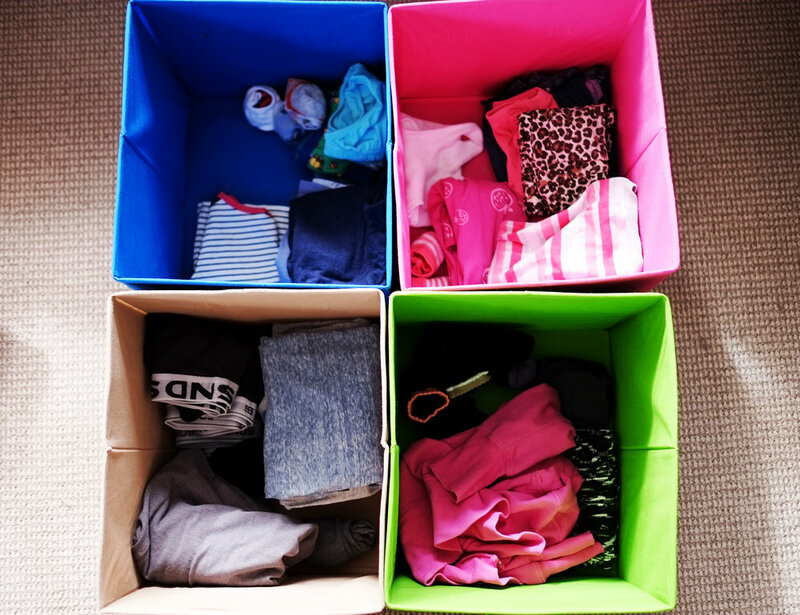 I also have a great system for sorting the laundry that works a treat, and encourages my kids to help out by putting their own clothes away (some of the time!). Check it out on the video below. 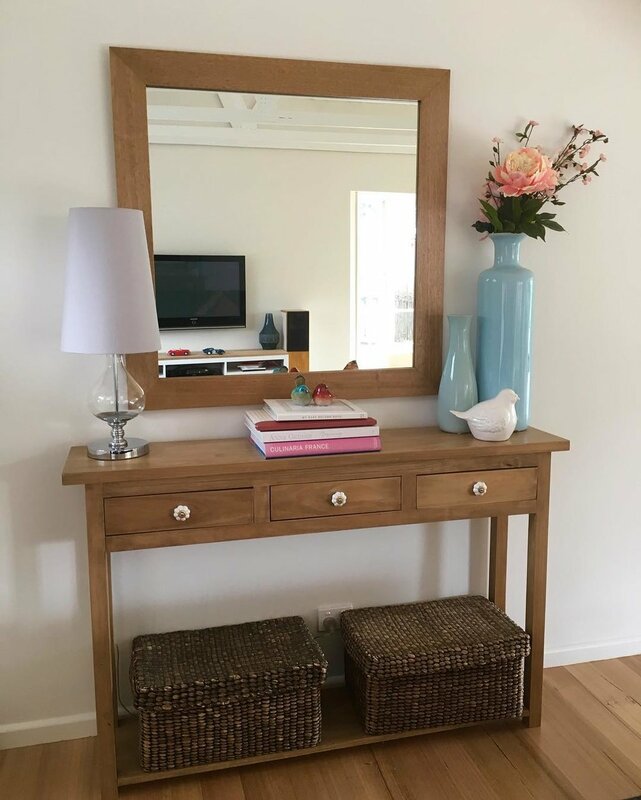 An organised entryway is the best way to reduce the stress of the morning rush that we all face, where you're reaching for all your essentials as you race out the door i.e. keys, wallet, sunglasses, bag, shoes. I shared our own organised entryway in this video, and it is one of my favourite organised spots in the house! Wherever your entry zone is - near the front door, a mudroom, or the garage - it's the perfect holding zone for your essentials, as well as a drop spot in the evening when you walk through the door. This in turn will reduce clutter piles forming throughout your home. 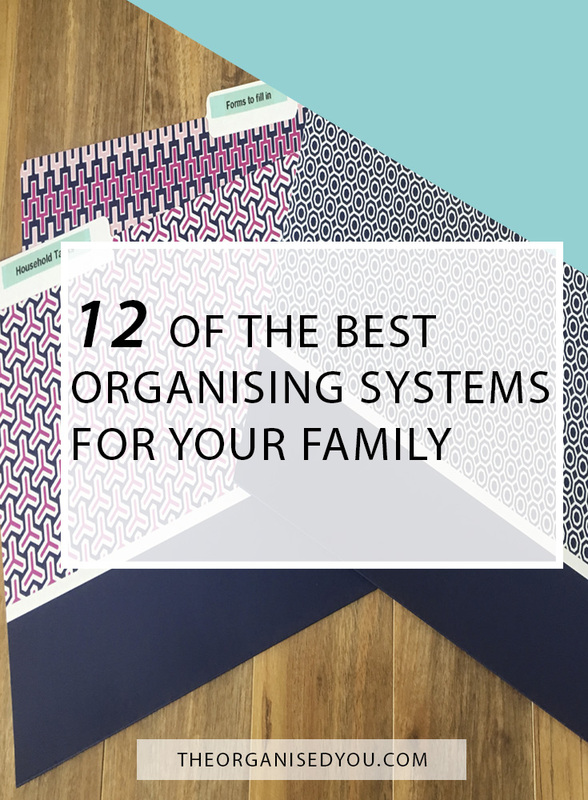 Last but not least, having an organised car is a must for any busy family. Not only does it make life a whole lot easier with kids getting in and out of the car (hello, trip hazards! ), but it also means you can be prepared for any situation when you're out and about. Items like tissues, wipes, towels, a first aid kit, back-up sunscreen, spare change, umbrella, shopping bags and pens are all useful things to keep in the car. 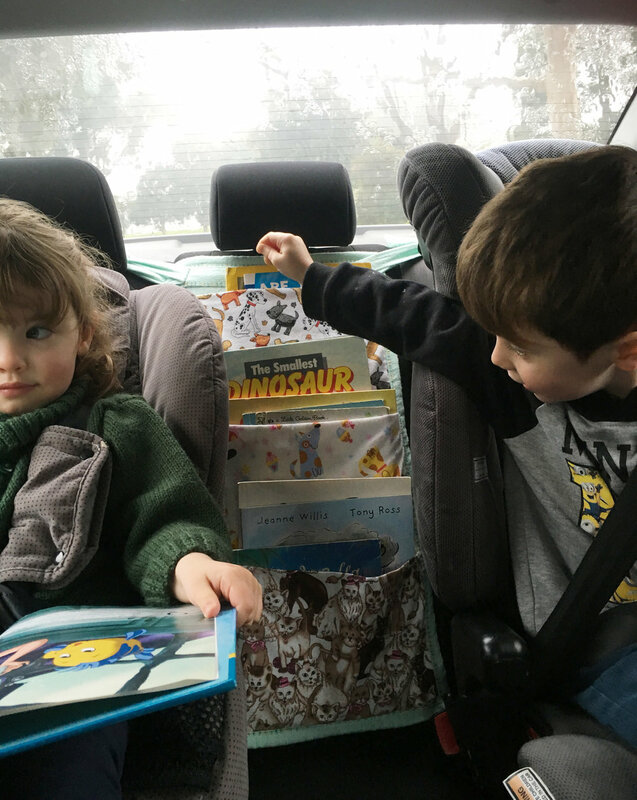 If you've got younger kids, some back-seat entertainment is also a must, and our organised book bag is still working a treat! How to you keep your kids entertained on long car trips? Which of these systems do you need to start implementing in your life in order to be more consistent with your organising? Which do you already use that you love?